InputDateTime for ASP.NET MVC supports both entering and editing date and time values and includes full validation. 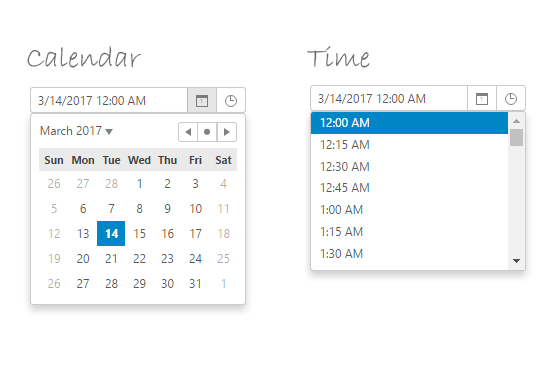 A combination of InputDate and InputTime, InputDateTime allows users to type in a full timestamp like "3/1/2017 12:00 PM" and picks the correct date and time accordingly. It also includes full mouse-controlled date and time picking.